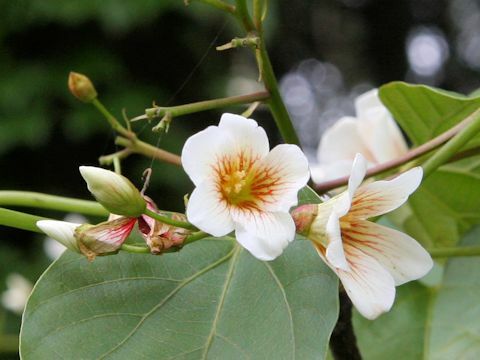 Tung tree (Aleurites fordii) belongs to the Euphorbiaceae (the Spurge family). 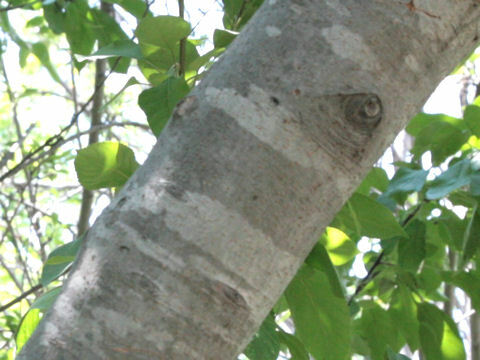 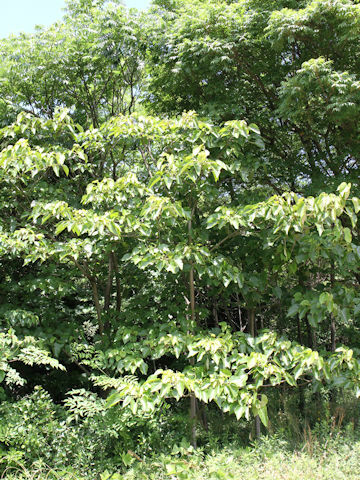 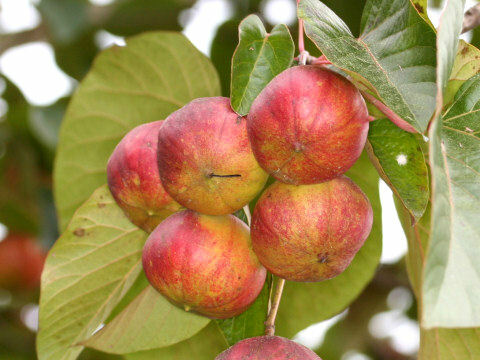 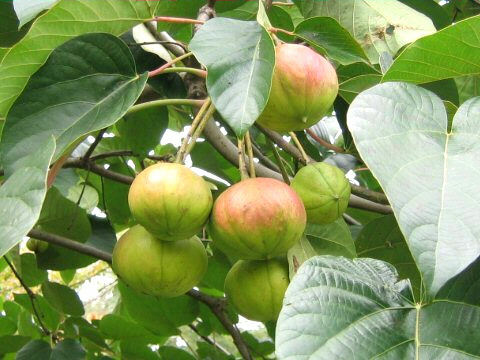 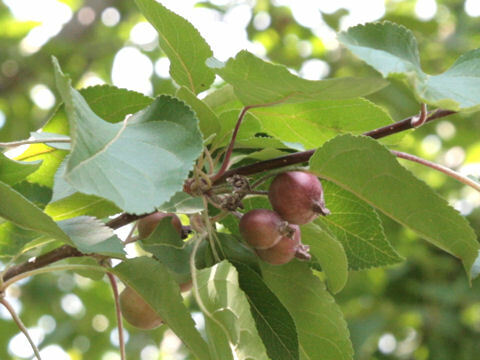 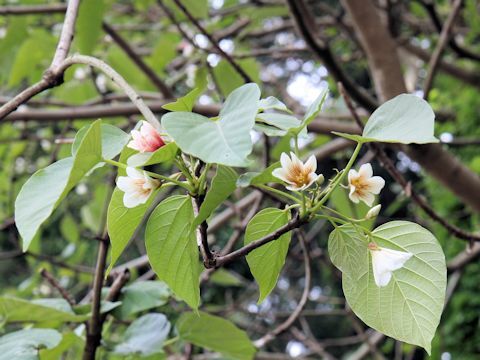 It is a semi-tall decuduous tree that is native to central and western China. 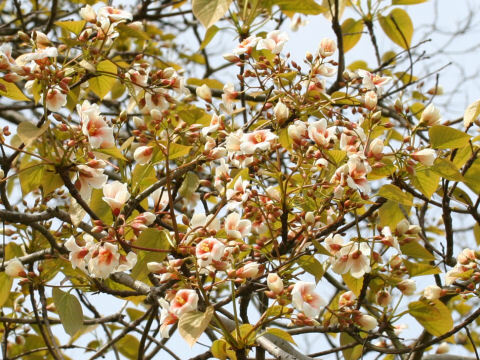 This tree grows in hillsides to mountains below 1000 m elevation and can reach 9-12 m in height. 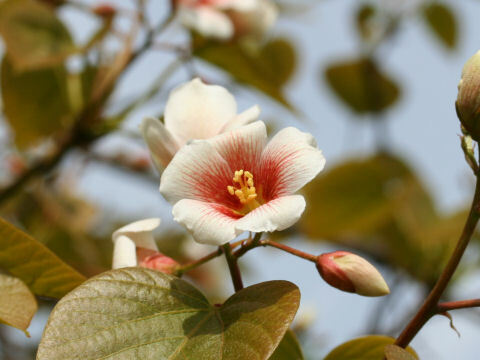 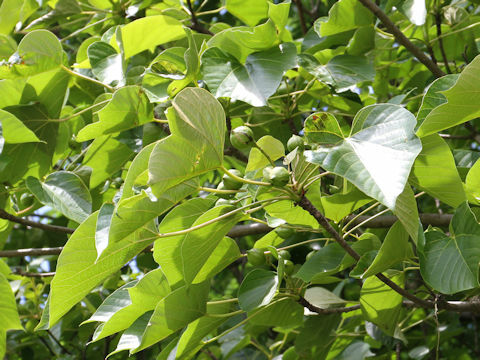 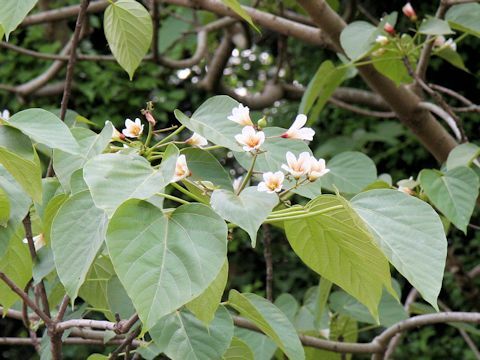 It is closely related to "Japan wood-oil tree" (Aleurites cordata), though it is defined by larger flowers and fruits. 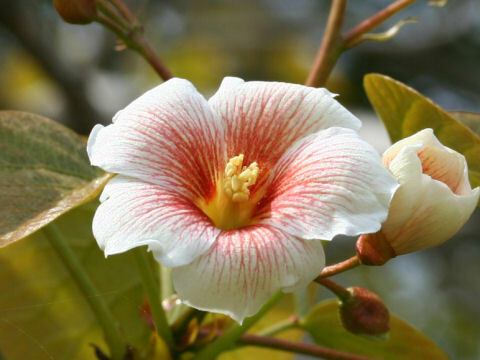 The white flowers with red to orange veins come in May and June. 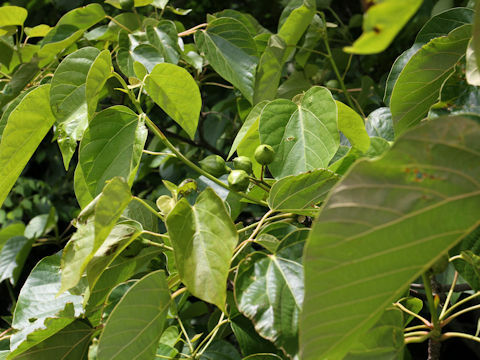 The wood oil is obtained from the seeds. 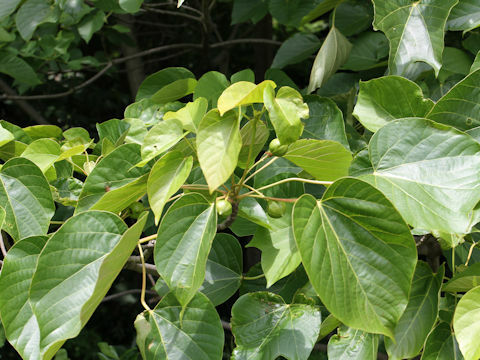 This oil is used as a varnish oil or oil paint.